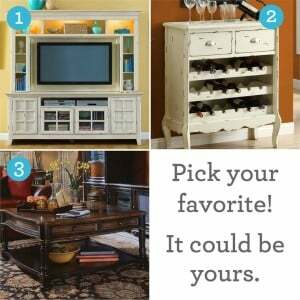 Click here to visit the Wayfair site and enter your email to enter their sweepstakes. Each week, they’ll be giving away different prizes like a sofa, entertainment center, coffee table, hot tub etc. Winners will be notified by email. The prize is determined on Wednesdays. They post a “You Choose” post on their facebook allowing fans to vote on 1 of 3 options for the following week’s giveaway. Good luck!